December is here and the holidays are upon us. Having made it through Thanksgiving already and fearing that Christmas and New Year’s may arrive before I do this, I am dedicating this post to a look back on the activities of our department this fall. As I wrote this post, I became astounded at the ground we have covered in just the last four months – the depth of the Nashville Symphony’s engagement in our community and the wide range of educational activities we offer is truly remarkable. I am so proud to be able to come to work every day and participate in all of this! Although the orchestra did not return from their summer break until after Labor Day, our fall really begins at the beginning of August, when school resumes in Tennessee. On August 1st Kelley and I had the great fortune to attend the Vanderbilt Music & Mind Kickoff held at Blair School of Music’s Ingram Hall, where we learned about many amazing projects involving music and neuroscience happening right here in Nashville. At this scintillating event we were very fortunate to make friends from Vanderbilt Brain Institute and Music & Memory, with whom we are in process of developing collaborations for the near future. Very exciting – stayed tuned to Off the Podium for details soon! Is It A Fiddle Or A Violin? August also brought our first Is It A Fiddle Or A Violin? 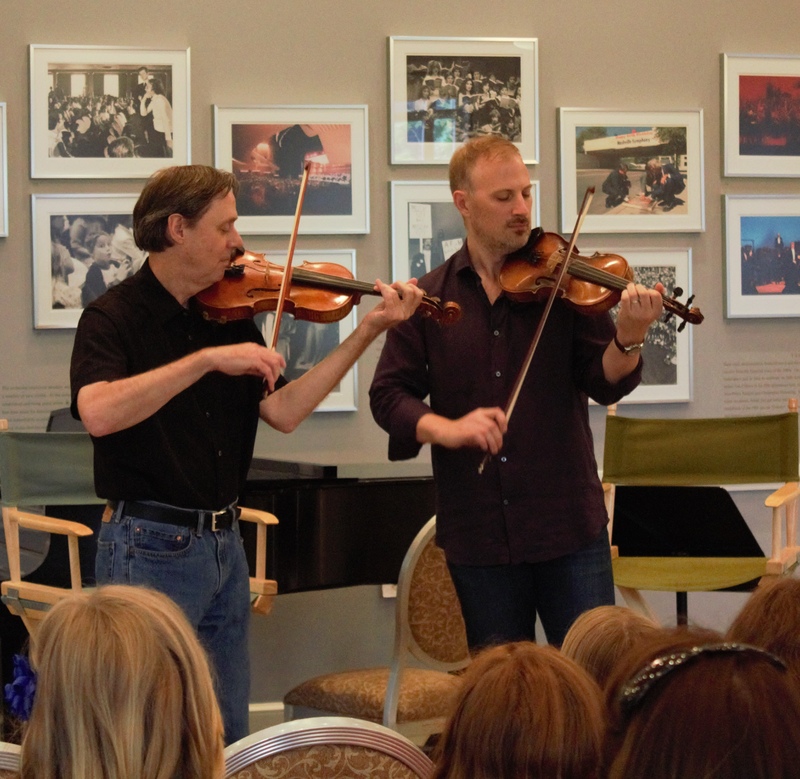 program of the season – this rich program serves hundreds of elementary school students every year and features tours of both Schermerhorn Symphony Center and the Country Music Hall of Fame and Museum capped by the delightful title program presented by violinists/fiddlers David Coe and Matt Combs. Is It A Fiddle Or A Violin? is scheduled more than a dozen times each year -we have already hosted the program four times this fall, with another this week and nine more between January and May 2016. On October 10, a beautiful, musical Saturday was shared by over 7,600 people who attended the Nashville Symphony’s annual Free Day of Music Event. 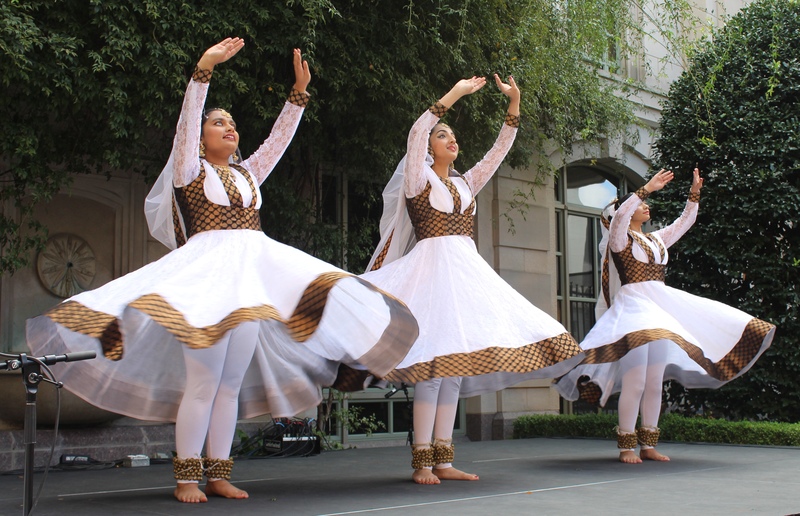 Performances showcasing more than 20 different musical acts were held on four stages located both inside and outside Schermerhorn Symphony Center, and a diverse array of performers from throughout the community presented a wide range of musical styles including classical, jazz, rock, pop, Latin, traditional music from India and China, and much more. The personal highlight of the event for yours truly was the debut of the traditional jazz piano trio Bitner Finest Ales. As the Nashville Symphony has done every season for more than fifty years, this fall the orchestra presented free concerts to thousands of students – many of whom were attending a performance at Schermerhorn Symphony Center for the first time. Middle school students filled the hall for our first Young People’s Concerts of the season Picture This: Musical Imagery on October 20, and enthusiastic middle and high school students packed the hall for this season’s One on a Part concerts Serenades for Winds on October 23. Thousands more elementary and high school students will attend upcoming Young People’s Concerts in January, February, and March! Nashville Symphony musicians from all sections of the orchestra who participate in this robust program led more than 130 rehearsals during the 2014-2015 season, and are on schedule to lead more than 150 rehearsals this season! 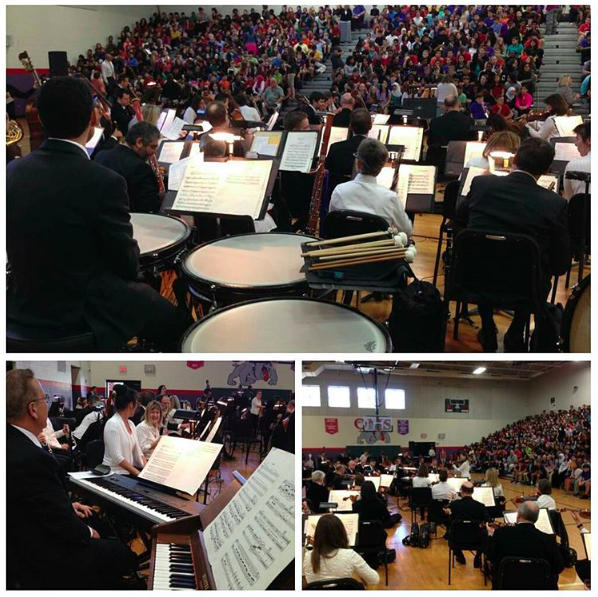 The Nashville Symphony also performed two Young People’s Concerts at local schools in October: a concert for students at Oliver Middle Prep featuring the Picture This: Musical Imagery program, and a performance of Halloween-inspired favorites for students in grades 8-12 at Ensworth High School. 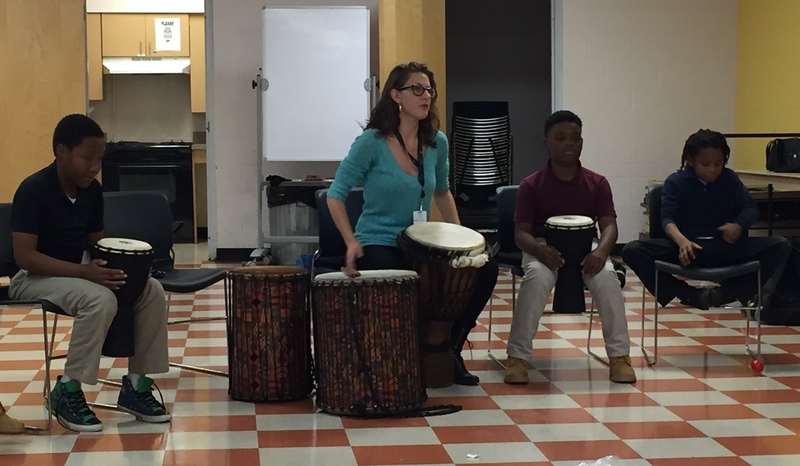 The performance at Oliver Middle Prep was the culmination of an “externship” collaboration between Nashville Symphony Education & Community Engagement and Oliver arts teachers through the PENCIL Foundation – one of numerous PENCIL partner events we participate in throughout the year. Nashville Symphony musicians also performed at the MNPS Career Fair for 9th grade students held at Music City Center on November 12. During the month of October, we presented Instrument Petting Zoos at Celebrate Nashville and several Nashville Public Library branches throughout the city as part of Artober, Nashville’s annual celebration of arts and culture. Instrument petting zoos are a popular way to introduce young children to the instruments of the orchestra, and our department (with the crucial assistance of our amazing Nashville Symphony volunteers) presents this hands-on program regularly throughout the year: at schools and after school programs, community concerts, and every Pied Piper concert of the season. This fall the Nashville Symphony presented Metro Nashville Public Schools with 18 woodwind and brass instruments – joining another 23 instruments already in the hands of MNPS students – through the Nashville Symphony’s Instrument Loan Program. 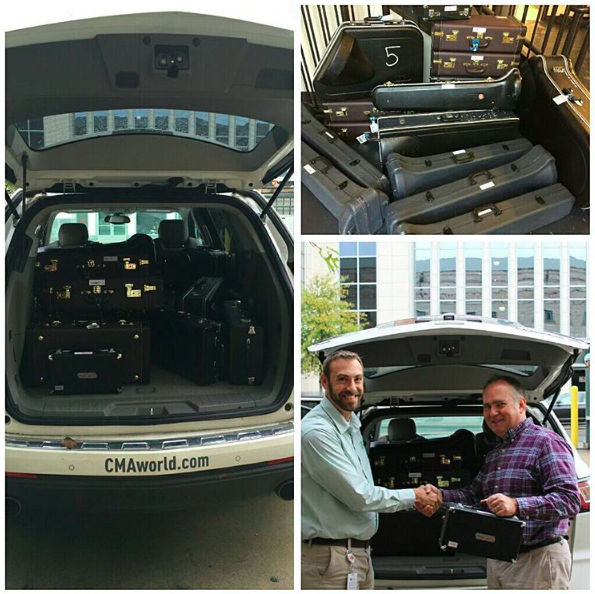 Instruments loaned this year went to Cane Ridge High School and Nashville School of the Arts. The Education & Community Engagement Department coordinates reservations for our Curb Open Dress Rehearsals, which are attended by thousands of students in grades 5-12, college and graduate students, and seniors (through our Lifelong Listeners program) every year. This fall’s open dress rehearsal featured Bach’s Brandenburg Concertos in September – there are five more this season beginning in January with Bernstein’s On the Waterfront. Our department also plans and executes programming including the preconcert activities and – in collaboration with Nashville Symphony Associate Conductor Vinay Parameswaran – repertoire and scripts for our Pied Piper concerts for children and families. This fall’s Pied Piper performance on the morning of Halloween was titled Trick or Treat, and included a cornucopia of fun and educational activities in our lobbies before the concert featuring the likes of Saint-Saëns’ Danse Macabre and Mussorgsky’s Night on Bald Mountain. We are excited for next week’s Holiday Sing-Along Pied Piper concert, which features the Madrigal Singers from Nashville School of the Arts, one of our PENCIL partners. The Nashville Symphony’s free OnStage chamber music series of performances conceived and performed by our own musicians kicked off this year with a fascinating inside look at the rehearsal process led by Kelly Corcoran, who demonstrated aspects of performance practice, score study, and the practical side of ensemble playing with a small string orchestra comprised of Nashville Symphony musicians on September 15 performing two early String Symphonies by Felix Mendelssohn. 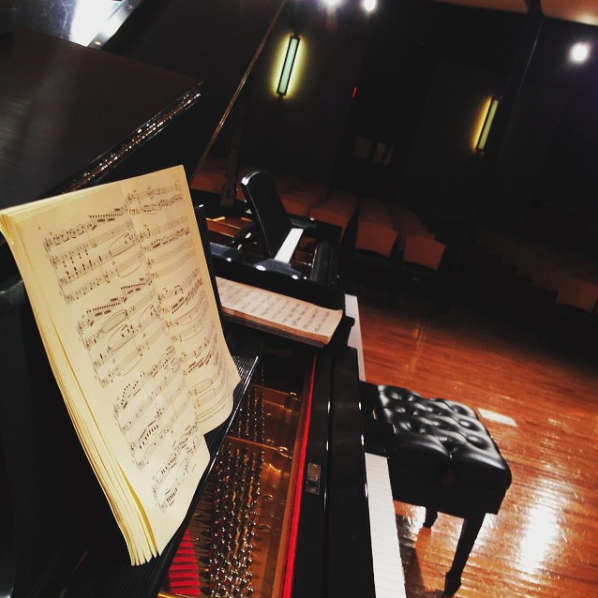 On November 17 our very own Roger Wiesmeyer presented a performance of Mozart’s Piano Concerto No. 24 in C minor OnStage, which Roger then repeated in performance at W.O. Smith Music School on November 19 to inaugurate our new OffStage series of free chamber music concerts there. This was an especially rewarding week for me as I got to accompany Roger in both performances on second piano playing a reduction of the concerto’s orchestration. Last week Nashville Symphony violist and composer Chris Farrell and friends presented our second OffStage at W.O. Smith performance, String Trio for the Holidays: a collection of original arrangements of carols and holiday favorites he has written for string trio over the years. Through all the activities of the fall I have recounted above, Kelley, Kristen, and I have continually worked to develop and plan for the launch of our newest educational initiative at the Nashville Symphony: the Accelerando program. 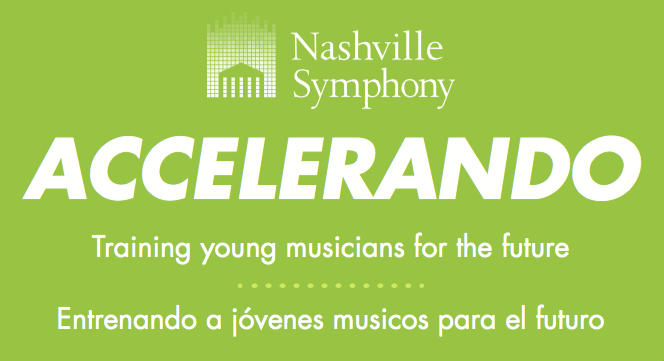 The Nashville Symphony announced the launch of Accelerando on September 28 and many details about the program may be found on the Accelerando page of the Nashville Symphony website. Over the last four months, we have met regularly with the Accelerando Steering Committee (representatives from our community partners) and the Accelerando Faculty Committee (representatives from the orchestra) to plan logistics, administration, and curriculum for this groundbreaking program. The application and audition requirements will go live on our website this week and we are very excited to look forward to our Student & Family Information Meetings here at the hall and at sites throughout the community beginning in January. Auditions for the first class of the Accelerando program will be held on March 12, 2016 at W.O. Smith Music School. With the exception of our Pied Piper concerts, which are ticketed events, all of the Nashville Symphony’s Education & Community Engagement programs described above are free. Our programming throughout the year demonstrates clearly and abundantly the Nashville Symphony’s mission to provide everyone in Music City with the very best in music and music education opportunities, and reflect our deep and abiding commitment to the profound effect music can make in our lives. Oh, and about the photo at the top of this post! 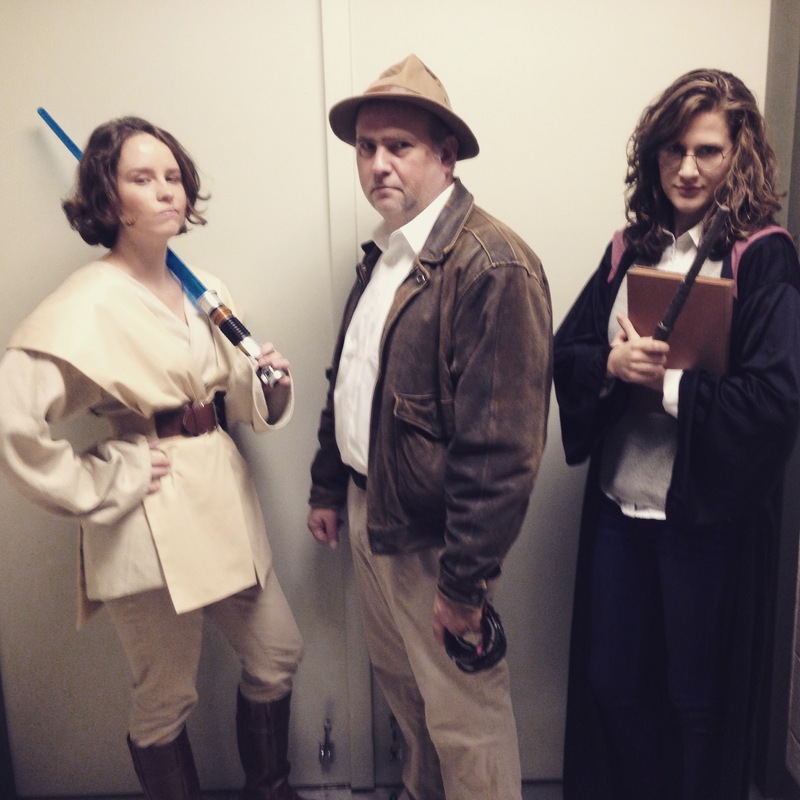 In one of the many fun moments from the last few months in our department, I got to play Indiana Jones in this brief promotional video about Nashville Symphony Education programs, along with Kelley (who wrote it) and Kristen, Robert Ketter and Justin Bradford (also symphony staff colleagues), and of course Vinay Parameswaran. This video premiered before the screenings of Home Alone this past weekend, and now you can view it here! By walterbitner in Community, EDCE Program Reviews, Education, Music Education, Nashville Symphony, Nashville Symphony Programs, Uncategorized on December 8, 2015 .